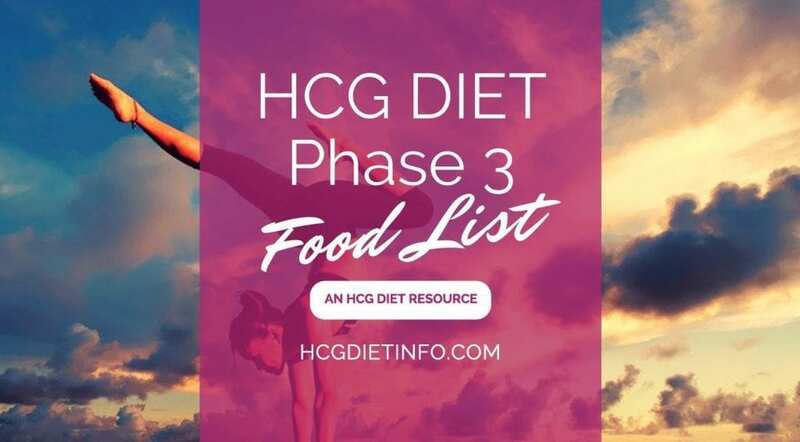 We’ve prepared the ultimate guide to the Hcg Diet Phase 3 Food List including the original protocol and all eating guidelines. This page is intended to make the transition from P2, easy for you. 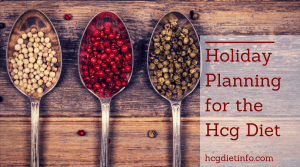 If you are unsure about how to transition from P2 to P3, it is easiest to stick to the original Hcg Food List for Phase 2, while increasing the portions and calories first. Be sure to add enough healthy fats to get your calories and metabolism up quickly. As you feel comfortable, you can introduce new foods that were not permitted on Phase 2- Nearly all Phase 2 foods are still allowed on Phase 3, however there are some important differences. For example, you will discontinue the melba toast portions, but may continue eating fruit for the duration of your P3. The following lists are not meant to be comprehensive, but to give you a sense of the expansiveness of allowed foods and some guidance on what to be careful with in making your food choices. Phase 3 Seafood Tip: Oysters and mussels are higher in carbs so limit to about 4 ounces per day. Phase 3 Food Tip: *Some processed meat, bacon, and ham, and especially sandwich meats, are cured with sugar, which will add to the carb count and is not permitted during this phase. Some of these may still be safely eaten. Check the ingredients and sugar grams per serving; look for zero grams of sugar, and of course, and don’t eat the whole package at one meal! Also, avoid cold cuts and other meats with added nitrates. Phase 3 Food Tip: These non-salad vegetables are slightly higher in carbs but provide important nutrients and add variety to your daily foods. Mayonnaise – make sure it has no added sugar, or make your own with a recipe from our Hcg Diet Recipes section. *Phase 3 Food Tip: Coconut oil is an Hcg Diet phase 3 Super-food! Coconut oil comes in a number of varieties that can be used in many different ways. Virgin coconut oil has a coconut flavor, while refined coconut oil is flavorless. MCT oil is excellent form of coconut oil as it is burned similarly to carbohydrates in the body for quick energy, while it is also easy for the body to break-down effectively. Phase 3 Dairy Tip: Plain *Greek Yogurt is an excellent protein choice for P3. Try to find one without added gums or carageenan and organic if possible. Add fruit and sweetener as you wish. Phase 3 Fruits: All fruits are allowed in Phase 3. However we are cautioned to be careful with sweeter fruits like bananas and mangoes, and should avoid dried fruits due to their concentrated sugars. Berries are especially good fresh fruit choices for P3 because of their low glycemic rating. 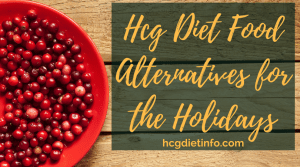 After your Hcg Diet Phase 2 you can include new items from the allowed P3 foods list (located at the top of this page) and see how they affect you. 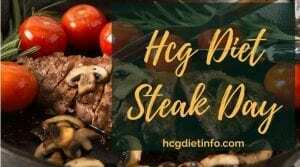 Remember if you gain more then 2 pounds then you may do an Hcg Diet Steak Day but also identify and cut the foods that may be causing the weight gain. Dairy: Another good idea is limiting dairy and really watching how your digestive system reacts. Dairy is a common problem for many people. If you suspect dairy is a trigger food for your weight, try organic dairy products, or goat or sheep milk versions. Avoid any “diet” dairy products (especially those that contain sweeteners such as aspartame or sucralose and minimize all dairy until the problem has been addressed. Sweeteners: Generally any sweetener is fine for P3, but the most natural ones are stevia, xylitol, monkfruit, inulin based products and bochasweet. Adding new P3 foods to your diet, should be done as a conscious approach: Add them slowly and one at a time for one to three days each, to better judge if they are working for you or not. the most common problem foods are eggs, dairy, nuts and cheese. All foods are essentially allowed at this time, with the exception of foods that contain starches and processed sugars. Remember to stay hydrated, and monitor your weight and overall well-being. If you do gain weight, note the recent foods that were added, carefully identifying food sensitivities and food culprits that may have triggered the weight gain. Also, remember to stick to the positive and healthy eating guidelines learned during Phase 2, the weight loss phase, as much as possible. These include: weighing your food for portion control, and staying VERY well-hydrated (it is strongly advised to continue with water, coffee and tea only- avoid any beverages with sweeteners that can trigger hormonal imbalances and weight gain, such as aspartame and sucralose.) 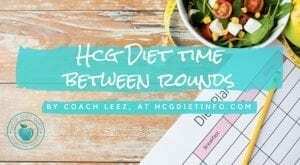 If you have questions or feel yourself struggling, reach out in the Hcg Diet Forums for assistance where we have a special section for Phase 3, and another section for Eating on the Hcg Diet. 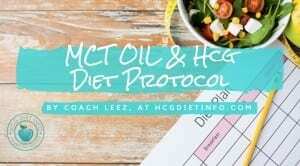 How long is the Phase 3 of the Hcg Diet? 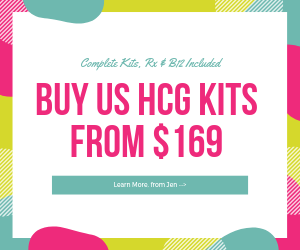 Phase 3 of the Hcg Diet lasts for 3 weeks and is the transition phase, also known as the stabilization phase, where new foods are introduced after the rigid list of allowed foods from Phase 2. While nothing in the Pounds and Inches manuscript details the exact P3 food list, Dr. Simeons does explicitly say to avoid sugar and starch at this time. 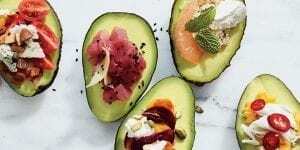 This food list is considered a safe and basic expansion to the Phase 2 foods list, while remaining within Dr. Simeons guidelines but can be safely modified as long as starches and sugars are avoided. Phase 3 is an excellent time to prepare for another round of treatment, or moving on to long term maintenance. 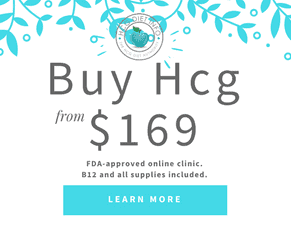 If you are planning another round, this is a good time to purchase your Hcg fast, so it arrives at the end of the 3 week deadline. If you have already reached your weight loss goal, then implementing phase 4 healthy habits for weight maintenance can start now. This includes implementing light exercise routines, and whole food eating plans for long term success. When Dr. Simeons wrote his manuscript, Pounds and Inches, there wasn’t a large amount of prepackaged and prepared convenience foods being massed produced for consumption as they are today. There certainly wasn’t a McDonalds on every corner, nor was there a slew of prepackaged frozen dinners in the grocery store. 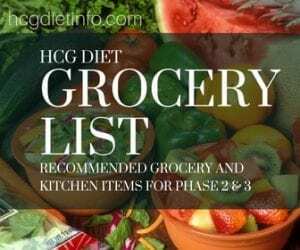 With this in mind Hcg Diet Info has 5 tips to help build your Phase 3 food list while avoiding the pitfalls of modern food perils. Avoid processed, pre-packaged foods as much as possible. Again, remember to limit dairy in Phase 3. Dairy not only contains sugar but can cause weight gain. Use high fat dairy foods vs. low fat. Heavy whipping cream for your milk, full fat cottage cheese and such are much better than their low part counter parts. When in doubt read the labels or refer to your nutritional book. Portion control at every meal, weight with a kitchen scale to stay safe, and try to keep portions the size of your fist, or that can fit into the palm of your hand. If you haven’t already, this is a great time to implement an exercise routine of some kind. Whether it is walking, yoga, weight lifting, pilates etc- a little bit of movement every day, can make a huge difference in your weight as well as offer countless other health benefits. There are no specific caloric restraints during Phase 3 or afterward in the maintenance phase (P4.) 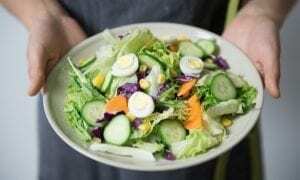 What most people find is that after being on Phase 2 of the Hcg Diet, they eat less naturally and are better able to understand portion sizes. They also tend to find that their tastebuds have adjusted while on the Hcg weight loss protocol. You may find yourself naturally preferring whole fresh foods and those sweet pastries you once loved, may no longer appeal to you. Foods will more than likely just taste different. Picking up a good nutritional food counter book (try Netzer’s Food Counts) is an excellent resource to keep on hand. And yes if you have eaten any Miracle Noodles (Hcg Diet Plan Miracle Noodles) on Phase 2 you can continue with Phase 3 and beyond. There is no need to worry about gaining while in stabilization or in maintenance if you follow the tips above and in the manuscript, limited as they are. 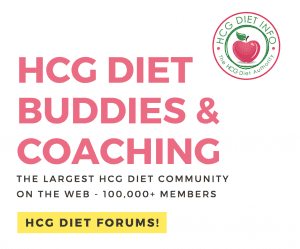 If you have any questions, or need a little Hcg Diet Help, feel free to join the Hcg Diet Info Forums for a little assistance- it’s FREE!